This is the third time that the TLPC has traveled to the World Intellectual Property Organization with students from TLPC. 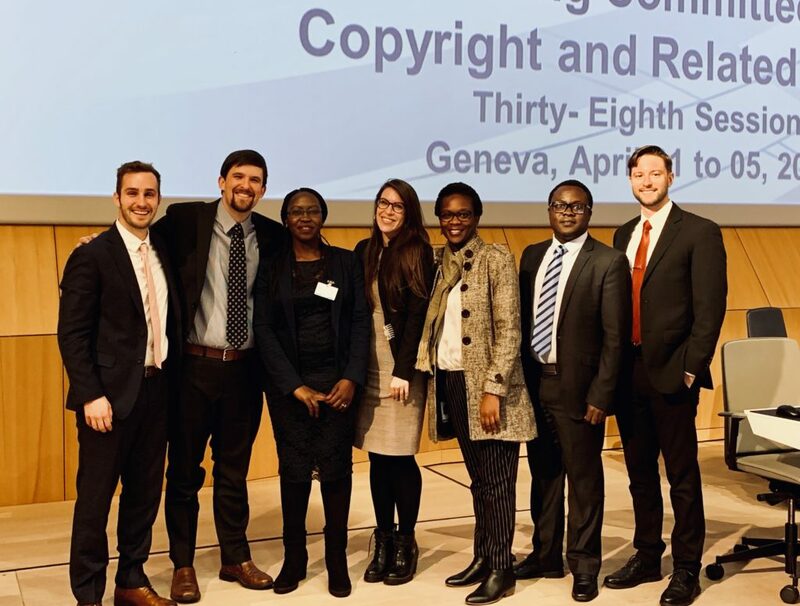 Since 2017, the TLPC has worked with Prof. Ncube to study WIPO member states’ implementation of limitations and exceptions in copyright law to facilitate the creation of accessible copyrighted works for people with disabilities. In this iteration of the study, the TLPC and Cape Town teams built upon the results of a previous study, which detailed responses by member states to a survey administered by WIPO, with independent research into member state provisions. The presentation discussed the methodology and results of the study in addition to future technologies that could make accessibility to copyrighted works for people with disabilities much easier than it is currently. Doss presented on the study’s methodology, while McCroskey spoke about the potential of machine learning to cut down on the cost of creating accessible copyrighted works. The most recent version of the study is posted to SSRN and on WIPO’s website.